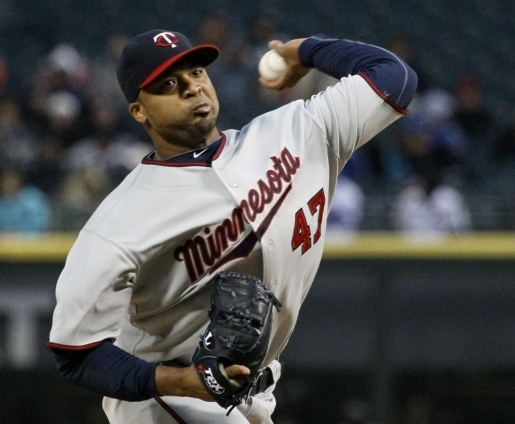 Francisco Liriano during last night's no-hitter versus the White Sox. In 2006, Francisco Liriano was on top of the world. He was the rookie of the month for April, had an ERA hovering around 2, and was the sensation of the baseball world. Then, he blew his arm out, wrecking his elbow and missing the entire 2007 season after receiving Tommy John surgery, which reconstructed his arm using ligaments from other parts of the body. He struggled in 2008 and 2009, but showed signs of recovery in 2010 and may be on his way back to his 2006 form. After srtruggling during the month of April, Francisco Liriano threw a no-hitter last night against the Chicago White Sox. Not only is it the left-handed Liriano’s first no-hitter, it’s also his first complete game and his first shut-out win. At ANY level! That’s right, the multi-time pitcher of the month and one-time Cy Young candidate had never pitched a complete game shutout before now, let alone a no-hitter, in 204 starts spread out between the major leagues and the minors. Now’s as good a time as any to start stringing them together, since Liriano has been pitching for his job lately.